My most recent blogs have been focused on Excel-DNA, and the pretty cool ability it brings to easily add your own custom ribbons. 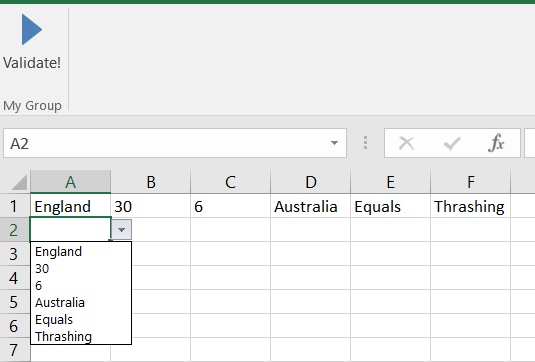 This blog is looking at the other component of writing a C# app that can talk to Excel – namely NetOffice.Excel. NetOffice.Excel provides the ability to interact with Excel COM elements, in a (mostly) painless way. Think workbooks, worksheets, ranges, cells, read, write, format, copy… and pretty much all else you are able to do through Excel. In order to test out our application, I’d suggest getting immediately familiar with Excel-DNA, as this gives us a way to launch Excel from Visual Studio direct and gives us a way to see interactively what is going on. Otherwise we’d be updating a closed excel worksheet, and you’d have to launch it after manually to see the impact. And hey, nobody likes anything manual. Follow this tutorial to get set-up with a Hello World application that we can use to test. If you already have an application that uses NetOffice.Excel but not Excel-DNA, then the code should still be relevant, you’ll just be on your own testing it out. If you are on this blog and know this one, but you’re getting errors with long lists, don’t panic, skip to the next section. This method breaks down for long lists, are there is a limit of (I think) 255 chars for this length of the comma seperated list. In this case all we can do is save the values to a range, and reference that to provide our cell validation. The difference here is that the formula/source is now referencing a range, rather than a hard-coded string. Simples! First, save the list to a range, then use this range to populate the validation. In a real application you would probably want to create a hidden sheet, and save the allowed value list there, it works the same. 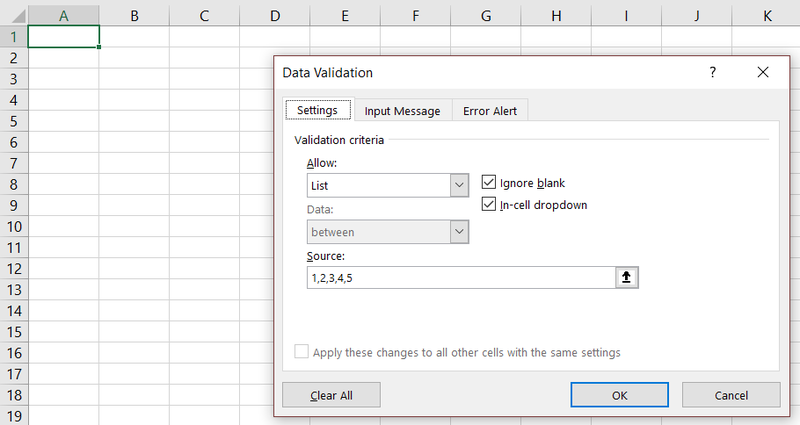 Now you know how to use NetOffice.Excel to add cell validation! I’m always open to feedback, please comment what you think below.